One of the rarest Kiwis in existence, the Haast Tokoeka Kiwi is found in a few select portions of New Zealand and nowhere else. Kiwis are known to thrive in harsh conditions. The Haast Tokoeka is no different – they can be found year-round in a few areas of New Zealand that experience a harsh winter. The Haast Tokoeka Kiwi survives the harsh weather by digging deep underground, into the snow, and sleeping comfortably there. The Haast Tokoeka is one of the rarest breeds of Kiwi, with only 200 to 300 birds known to populate a few small areas of New Zealand. The Haast Tokoeka, like the others of its kind, ratites, is a bird that cannot fly. Characteristic of this type of bird, the Haast Tokoeka has only traces of small wings under its plumage. It has a highly insulated body that has been heavily developed for life on the ground. 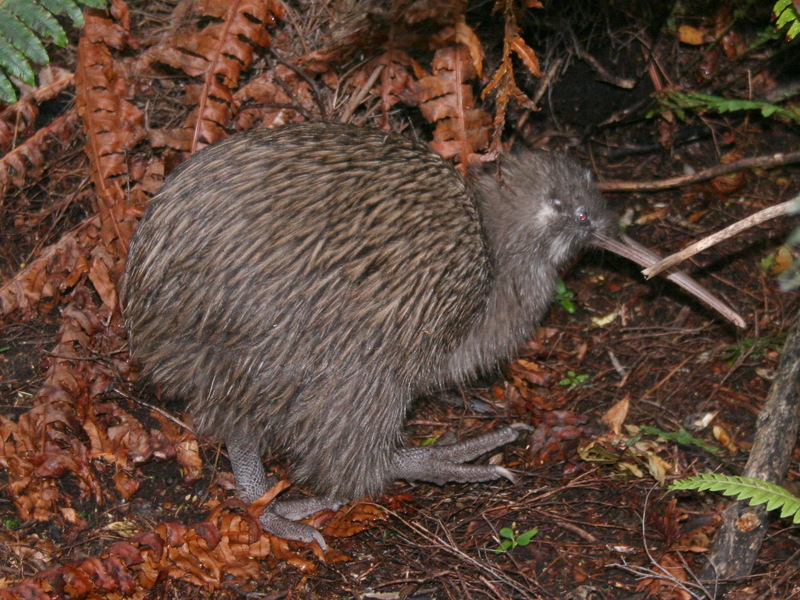 The Haast Tokoeka Kiwi’s diet is similar to that of other Kiwi, feasting on invertebrates underground, and the occasional wild berry it finds on the forest floor. The Haast Tokoeka Kiwi will use its distinctive curved beak to dig the worm it has found from under the ground, using a series of small tugs to pull it out. Once it has the worm out of the ground, the Kiwi will make short work of it, and move on to find more food. The Haast Tokoeka is rare, specifically because of its living environment. It has adapted well to the harsh cold that is experienced in the areas it lives in, and while most Kiwis are adaptable to new living conditions, few could survive living in the cold snow. Hence, this kind of behavioral adaptation is certainly a rare thing, making the Haast Tokoeka truly an exotic species of Kiwi. The Haast Tokoeka is a small, plump little bird, with a round body and small head with little eyes. Its beak is long and curved slightly downward, almost having been evolved specifically to feed from the ground. Two olfactory cavities have developed on the end of the beak, which the Kiwi will use to balance out its eyesight, which is very poor. The Haast Tokoeka has three toes on each foot, each toe having a powerful claw that the Kiwi will use to burrow a little hole underground to sleep in. 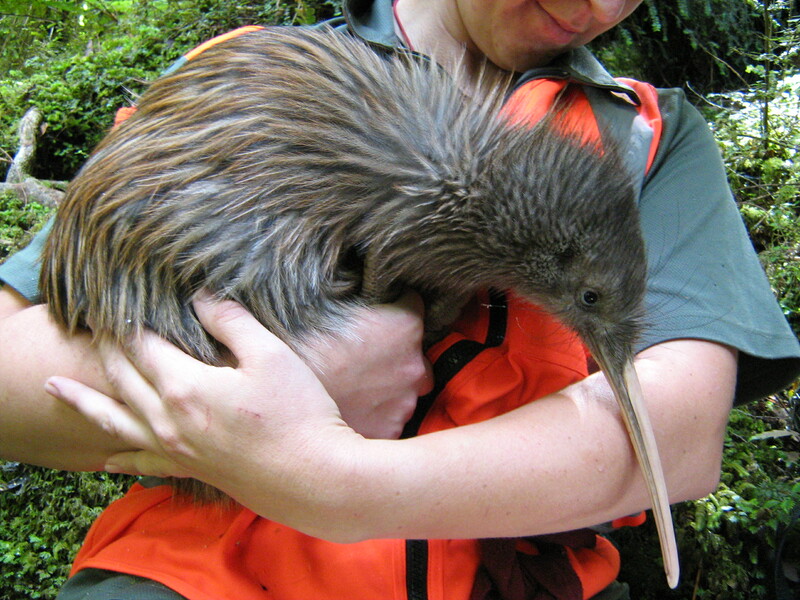 The Haast Tokoeka Kiwi, along with others of its kind, is endangered. 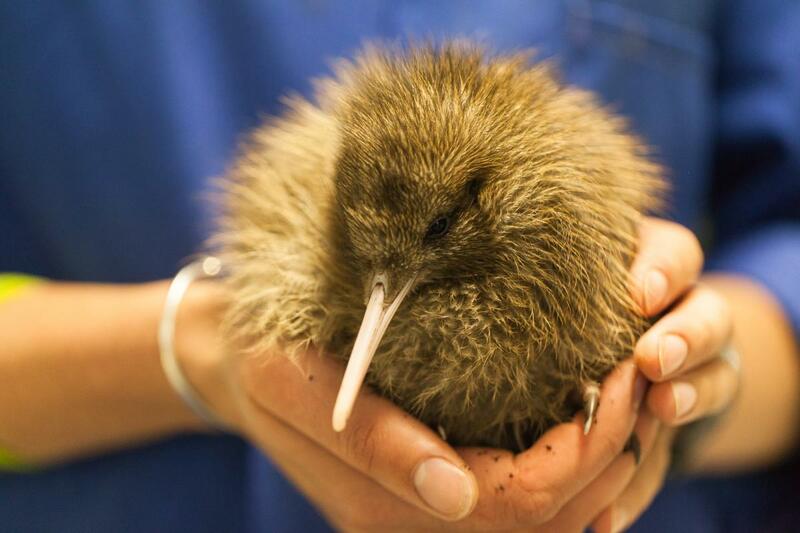 Thanks to a large zoological survey that took place in New Zealand a while ago, major steps are being taken to preserve the Kiwi and make sure it survives in a rapidly developing country. 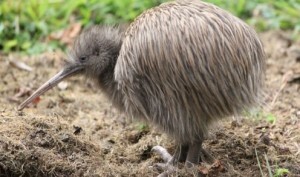 The Kiwi can adapt, but not as fast as the landscape is changing. The Haast Tokoeka, like other species of Kiwi, lays a monstrous egg! 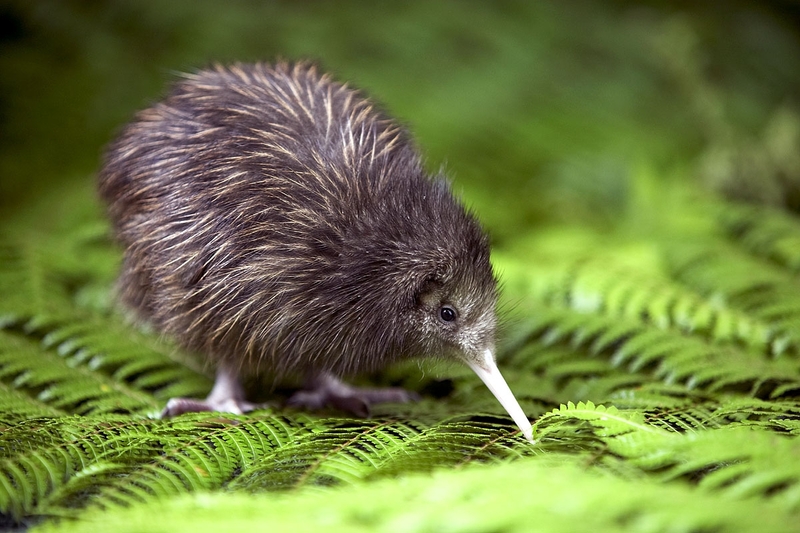 The female Kiwi will lay a giant egg, one that is nearly a quarter the size of her body. This giant egg will take several months to incubate.